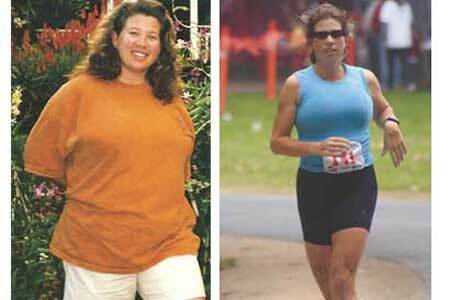 The Change: Healy had her daughter, Sara, in her late 20s, and her weight settled at 205 pounds. “When I started getting out of breath trying to keep up with her, I knew I had to do something about my weight,” she says. Healy began trimming portion sizes and eating healthfully and lost almost 15 pounds in a month before she became pregnant with her son, Tyler, and put her efforts on hold. The Life: A month afterTyler’s birth, Healy committed to losing weight again: “I kept a food scale on my kitchen counter and read every food label.” She also got more active by taking her kids for walks in a stroller and dancing around the house to her favorite music. 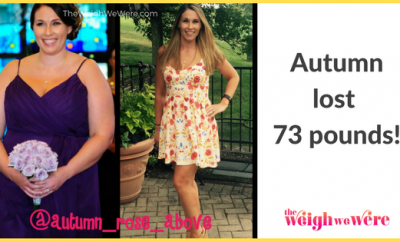 Ten months later, she was 40 pounds lighter. But her walking workouts weren’t challenging her anymore. “I went online and found a 13-week 10-K training program and started following it to a T,” she says. Healy alternated running and walking for the next 3 months until she could run for an hour without stopping. “On race day I weighed 160 pounds and felt great when I crossed the finish line,” she says. Since then, she’s lost another 10 pounds and completed more than 10 5- and 10-Ks, plus several triathlons. She’s currently gearing up for a half-marathon that’s taking place in March. Have a goal. “Make it small and attainable, such as getting into a smaller dress size. Reaching it will boost your self-confidence.